Great first visit. The Sunday hours are so convenient and I was able to get an appointment right away. I wasseen just a few mins after I arrived and Dr. Gotlieb was very kind and made me feel at ease. He seems very thorough. I highly recommend Dr. Gotlieb if you need a hematologist. Great first visit. The Sunday hours are so convenient and I was able to get an appointment right away. I was seen just a few mins after I arrived and Dr.Gotlieb was very kind and made me feel at ease. He seems very thorough. I highly recommend Dr. Gotlieb if you need a hematologist. 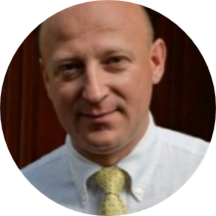 Dr. Vladimir Gotlieb is a skilled and qualified hematologist, oncologist, and internist serving the community of Forest Hills, NY. He obtained his medical degree from I. Ya. Horbachevsky Ternopil State Medical University. He went on to complete his internship at Flushing Hospital Medical Center. He also completed his residency in internal medicine and fellowship in hematology and oncology at Brooklyn Hospital Center. Dr. Gotlieb has his own practice. He is board certified by the American Board of Internal Medicine specializing in hematology and medical oncology. He is a member of the American Society of Clinical Oncology and the American Society of Hematology. Patients see him for a variety of reasons, including black stool / melena, thalassemia, anemia, hemophilia, and thrombosis. Before joining the Downstate University School of Medicine, Brooklyn, NY, he held positions at Weill Cornell Medical College, New York, NY. Dr Gotlieb is the chief of Hematology and Oncology and also fellowship program director at Brookdale University Hospital. He was voted best Oncologists in the US in 2006, 2010, and 2016. Dr Gotlieb has received awards for outstanding achievements in Medicine by Bangladeshi and Chinese medical societies. He also went to Guyana South America for breast cancer initiative and was honored by Guyanese HERO foundation. Dr. Gotlieb gives each patient his focused attention, and he prides himself on delivering the best treatment available. He is deeply committed to the well-being of his patients. He takes a thorough and precise approach to his consultations to ensure that he is consistently giving accurate diagnoses. Zhu Z, Liu W, Gotlieb V. The rapidly evolving therapies for advanced melanoma--Towards immunotherapy, molecular targeted therapy, and beyond. Crit Rev Oncol Hematol. 2016 Mar; 91-9.